I am trying to import an FBX file from Unity into Blender. Does anybody know how to do that? Then browse for the file on the next screen, select it, and click Import FBX. The model should now be in your scene. Not the answer you're looking for? Browse other questions tagged import unity or ask your own question. How to import FBX with multitrack (multi take) animations? 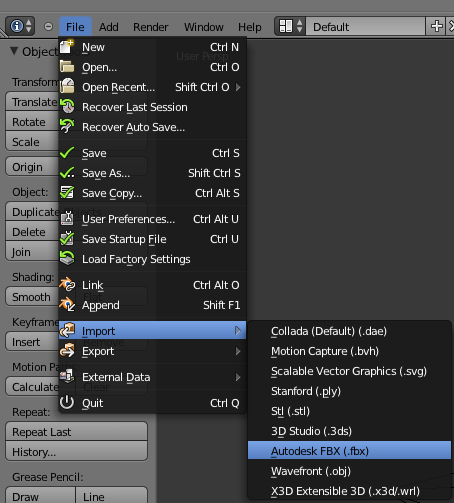 exporting a collection to re import into blender?